Yes, a Music Monday on a late Wednesday night. It’s been a busy week. 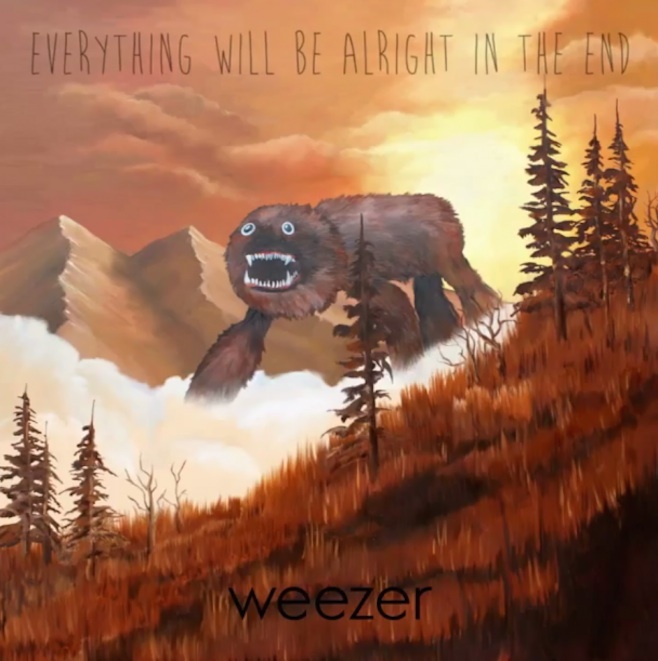 But I’m sitting here working on three other blog posts and listening to Weezer’s new album, “Everything Will Be Alright In The End” via iTunes Radio stream. Click here to open iTunes Radio to listen to the stream. I’m several tracks in and it’s really good. If you decide to wait, come back in two weeks and I will have a review of it on this blog. Oh awesome, my wife if a big Weezer fan. I’m afraid to say I only really know Buddy Holly and maybe a couple of others. Probably time to fix that. Most of the Weezer catalog is pretty great. Glad to know your wife is a big fan. I’ve got most of their albums but rarely listen to them. Is that weird? Nope, not weird at all. I have many other bands that I have a lot of their albums but rarely listen. I’m guessing that’s common with a larger iTunes library of music.